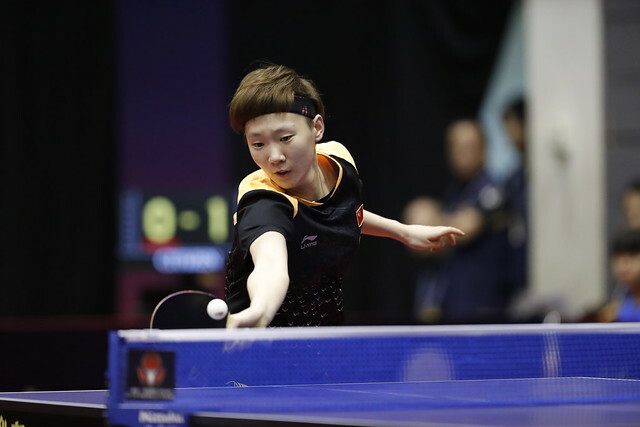 There's plenty to look forward to on day two of the Seamaster 2018 ITTF World Tour Lion Japan Open in Kitakyushu with action from all five events on show including the first final of the tournament. The Men’s Singles and Women’s Singles competitions have four remaining Round of 16 encounters to be contested with quarter-finals action from both events featuring at the day’s conclusion. Defending his first ever Japan Open Men’s Singles title, Ma Long continues his journey in Kitakyushu opposing the host nation’s very own Maharu Yoshimura. The two met in Tokyo last year with Ma Long requiring no more than four games to beat the Japanese player and he will be looking for a similar outcome on day two. The reward for the winner of that tie is a meeting with one of Tomokazu Harimoto or Zhou Yu in the last eight: just over 11 years his opponent’s senior, but 26-year-old Zhou Yu should be weary of the task ahead. His young Japanese counterpart is seeded sixth and fully capable of causing all members of the Chinese national set up problems as seen last week when he eliminated Zhang Jike from the China Open proceedings. Speaking of Zhang Jike, he is set to compete in the second round of an ITTF World Tour Men’s Singles competition for the first time in over a year with fellow countryman Liang Jingkun awaiting the former Grand Slam winner while Korea Republic’s Lee Sangsu prepares to take on Chinese Taipei’s Liao Cheng-Ting in the other Round of 16 tie. The winners of those matches will face Jin Ueda and Chuang Chih-Yuan respectively. Seeded third for the Women’s Singles draw in Kitakyushu, Japan’s Mima Ito is surrounded by high expectations. In the opening round Ito knocked out opposition from Korea Republic and on day two she will take on another Korean player with Suh Hyowon standing in her way – this is the third time the two have faced one another with both currently holding a win apiece, but who will take the lead in the head-to-head record when they meet in the last 16? Bernadette Szocs is enjoying what is arguably one of her best years in the sport and the 2018 Europe Top 16 Cup winner displays confidence no matter the opposition, however, she will be severely tested on day two with top seed Kasumi Ishikawa next up for the Romanian. Competing at the foot of the draw, local favourite Hina Hayata will attempt to send the Kitakyushu spectators into a frenzy when she takes on Chinese qualifier Mu Zi with either Lee Ho Ching or 2018 China Open Champion Wang Manyu awaiting the winner in the quarter-finals. Both the Men’s Doubles and Women’s Doubles tournament will play-out semi-finals fixtures while the first title match of the event will also feature as the Mixed Doubles draw closes.